Facebook commerce provider Ecwid announced that it has topped 500,000 registered merchants worldwide and closed a $5 million series-B investment round. The funding round was led by iTech Capital, with participation from series-A funding provider Runa Capital. Ecwid said the money will go toward enhancing its mobile and social commerce products, expanding its global distribution partner network, and bolstering its sales and marketing teams. The company also announced plans to integrate its ecommerce solution with the point-of-sale systems of small and midsized businesses. In addition, iTech Capital Managing Partner Gleb Davidyuk was added to Ecwid’s board of directors. My quest to democratize ecommerce started in 2000 when I founded X-Cart, the first PHP ecommerce platform. Online store builders have not changed much since then, using the same “dedicated ecommerce site” approach. 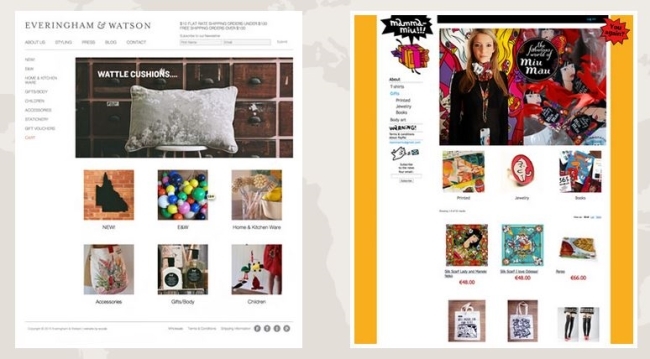 But Ecwid was engineered to be a game-changer, making it possible to add a full-featured store to any existing website, while preserving its design. It is exciting to see this vision come to fruition, and with strong partners like iTech and Runa, we look forward to accelerating our growth and continuing to improve our product. Ecwid began as a way to let merchants sell from any website they prefer, without having to abandon their investment in an existing site or be locked into a dedicated ecommerce website. We used our first funding round to deliver this choice and flexibility to small businesses, and also to bring them rich functionality for mobile and social commerce. This new round of funding allows us to help merchants converge their offline and online sales through our POS and mobile POS integration, so they can sell their products anywhere at any time, offline or online, and from any device. We also will extend the rapid growth of our network of site-builder, CMS (content-management system), hosting, and payments partners globally.